I’m not sure how to review an anthology or a short story collection but I’ll try my best. Basically, this book contains 6 stories in total and if you want an idea of what each story is all about just read them in the synopsis above. Each story varies In length and of course plot but all stories revolve a central theme which I guess is human psychology. This book has an overall eerie and mysterious feel to it, like a not-so full-blown horror movie. You know, it’s kind of creepy and it can give you mild goosebumps but it’s totally tolerable. The stories involve ghosts and other heavenly creatures, plus main characters that let’s just say have gone through or is currently going through a hard time. It’s full of twists and surprises that will make the reader wanting to know more. Just like every anthology I’ve read, I have my favorites and those I didn’t quite like. By far the last story was my favorite one, I just like how the overall plot flowed. But really, all the six stories were sort of delightful to read. I only read this every night when I had the free time, which makes it a perfect book to read in between heavy reads or if you just want to take a break from the book you’re currently reading. The writing style is truly commendable, the author managed to balance the right amount of descriptive details and emotion that made a well-written narrative. 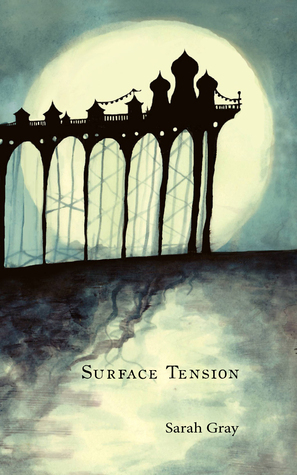 Surface Tension is definitely a great collection of dark and mysterious short stories. If you like reading something short but memorable, you should definitely read this one. Haunting, eerie, and enigmatic are just some of the words to describe it! Despite how stupid it was, she still carried a secret fear of the unknown, a fear of the threats that nestle amongst ordinary things. A huge thank you to the publisher for providing me a review copy of this book.